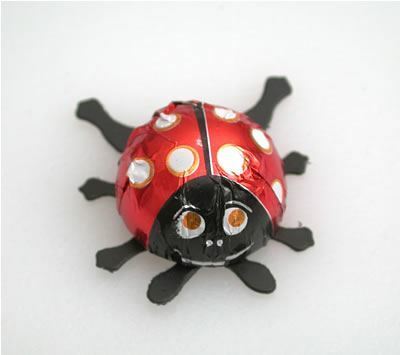 Chocolate Ladybugs Bugs. Chocolate Store, the online candy store with chocolate and candy. Chocolate and Peanut Butter filled bites of fun. There are about 60 pieces per pound and the size of each piece is about 1 1/2 inches round including the legs.